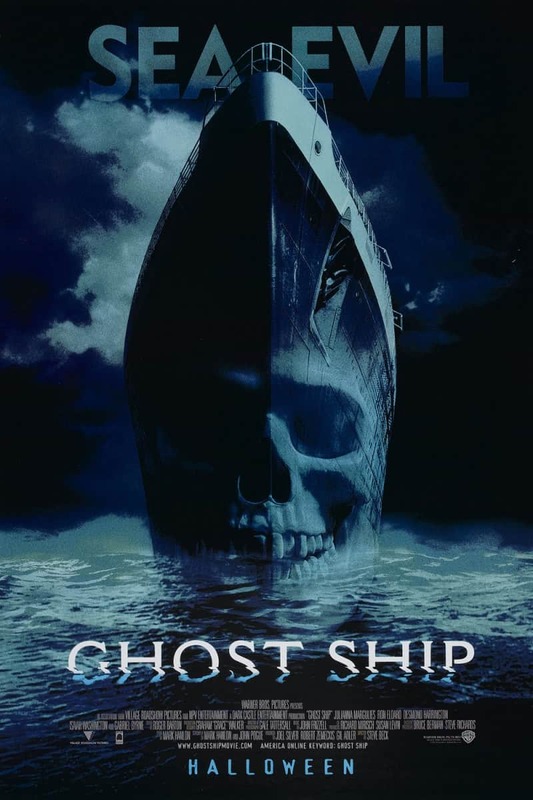 Ghost Ship is a 2002 American-Australian horror film directed by Steve Beck. The film was shot in Queensland, Australia and Vancouver, Canada. The film title in the poster is probably designed based on Cantoria Bold, an inscribed serif font designed by the English type designer Ron Carpenter. The serif font family is available in 10 weights and you can preview it here. For the script font used for the film title and the credits text in the film, it is House Casual and the script font is available for purchase from House Industries via its Sign Painter font collection .